Many thanks for your response. I only met Uncle Frank a few times, mostly in the early 1970s, by which time he was in his late seventies. He himself admitted to a reputation for "not suffering fools gladly", which in his view accounted for the fact that he was - and perhaps is - sometimes omitted from the chronicles of veteran fliers (with the notable exception of your site!!). How far this was a reasonable deduction for him to make, I'm not sufficiently versed in aviation history to be able to judge. The fact that we're still exchanging information about him at this time means that he hasn't been quite so forgotten as he perhaps anticipated! Frank was the eldest of three brothers born to parents of exclusively Irish ancestory. (His maternal grandfather, Patrick Sullivan, had emigrated from Galway and having started working life as a fisherman in Galway Bay became a senior official in the London Post Office, and a solid member of the London middle class around the end of the 19th century. There was therefore something of a family tradition of successfully making your own way.) Frank's own father (also Frank) and his mother separated when the three boys were very young. And all three were sent off to boarding nursery school when Frank would have been about five years old. They then went to a succession of boarding schools and never really lived at home again. There is no doubt that this had a significant psychological impact on them, but it tended, I think, to turn them into careful risk takers. Frank enlisted in the Royal Flying Corps (RFC) as a means of learning to fly for nothing. 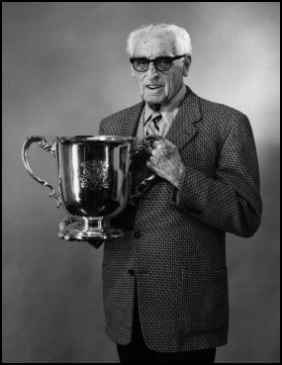 The second shows Frank in 1972 (at the age of 78) holding the King's Cup which he won in the 1930s. This photograph was taken at the RAF museum, Hendon, North London. To clarify, my own father was the middle brother, Tom, and he got married relatively late in life at the age of 47. So although I know all three brothers (including Arthur, the youngest), I never knew my paternal grandparents, which would have been interesting! Sorry about all the family history, but that's about all I have! Regards - and keep up the good work! COURTNEY AMPHIBIAN St. Louis' Curtiss-Wright Airplane Company, which in 1936 had been renamed the St. Louis Airplane Division of Curtiss-Wright Corporation, began to concentrate strictly on military aircraft in the mid-1930s. Its last personal models, the "Sport" and the "Speedwing" were discontinued in 1936, following the demise of the "Condor." During the previous year, the St. Louis plant had also built the "Courtney Amphibian," a large, single-engine biplane flying boat equipped with tricycle gear for land use. It was designed by Captain Frank Courtney, a celebrated RAF war ace, who was a close friend of Richard Hoyt, the Curtiss-Wright board chairman. Courtney persuaded Hoyt to give his model a trial. Two prototypes were constructed at the St. Louis plant (one of which was sold to the Japanese, who took numerous pictures of the nearly empty factory when delivery was made in 1936,) but the model did not hold great promise, so the novel ship died in its experimental stage. Here are the results from the 1929 National Air Races. Please select a racer you wish to honor and place your selection in the Event Charges form. Requests will be honored based on the order the entry is received. To see Frank's place in this one race out of five, click on the title. ONLINE RESOURCES If you search for "Frank T. Courtney", using the Google search engine, (3-27-04), you will find about 24 links. However, most of them only offer brief and fragmentary episodes from his life and career. April 25 - 26, 2003. 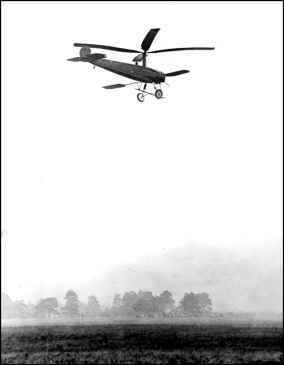 This page, which is found on the Hofstra University Cultural Center website, offers seven priceless photos, including one of Captain Frank T. Courtney flying the Cierva C.6A autogiro over Farnborough, England. It features the inventions of Juan de la Cierva. You can access the page by clicking on the title above. If time permits, you will be well rewarded by visiting some of the 23 other galleries of photos. A good place to start would be on the "Welcome" page which you can reach by clicking on: Autogiro Conference This website is a remarkable resource, especially for the Autogiro enthusiast, but also for anyone interested in pioneer aviation. Among other features, you will find sections devoted to: Welcome, Press Release, Galleries, Movies, 3D Models, Cooperating Institutions, Other Resources and much more. It is well worth a visit. COURTNEY PORTRAIT This page, which is found on Carroll Gray's fine "The Early Birds" website, bears a beautiful portrait of Courtney, the only one I have been able to find. The website appears to have become obsolete, but you can access an archived page by clicking on the title above. 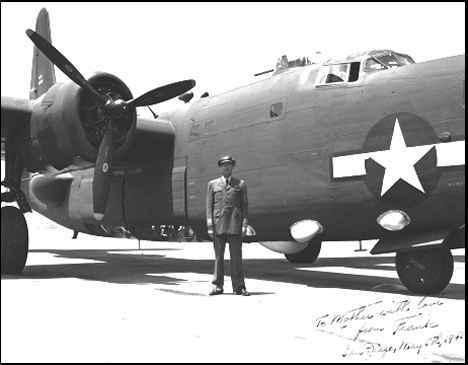 JESSE DAVIDSON AVIATION ARCHIVES The photograph of Capt. Frank Courtney flying the Cierva C.6A autogiro is reproduced from the Jesse Davidson Aviation Archive through the kind permission of Bette Davidson Kalash. The description of the collection, taken from the homepage of the site, is reproduced below. The Jesse Davidson Aviation Archives is a collection of thousands of historic and vintage aviation photographs, books and documents. Photographic subjects feature historic aircraft, pilots and personalities, air mail history, airlines and airfields. Many of these historic images were originally taken as news photos. The book collection includes vintage and out-of-print books on aircraft, adventure, aeronautics, autobiographies and biographies, ballooning, flight, gliders, model building, military and World War II, missiles and space, reference, technical manuals and more. The document collection consists of original letters and correspondence between Mr. Davidson and aviation personnel, as well as maps, pilot log books and technical information. The Archives represents the lifetime collection of Jesse Davidson, aviation historian, writer and editor. Photographs and documents from the collection were used in Time-Life's book Flying the Mail, as well as in television documentaries and other media." by Frank T. Courtney Everyone is familiar with the expression , "The Seven Seas". Now Frank Courtney says in his book bearing the above title that the air is the Eighth one. The book is an intimate narrative of his ambitions, struggles and achievements and is highly recommended reading for every air-minded person. It is published by Doubleday and Company, Garden City, N.Y. In the prologue Courtney says, "Among those who took to the air in the early stages of flight and stayed there to see it through, there were not many who survived to tell the story; for if the conquest of the air was swift, it was not easy --- Nature had never designed man to go up into the air and she had a vast reprtoire of dirty tricks for knocking him out of it. Extract from JMVintage website "Description: Garden City, N.Y.: Doubleday & Company, 1972. First Edition. STATED FIRST EDITION. 297 pages including Index and 12 pages of black and white photos. The book is in VERY GOOD condition with the slight discoloration splotches on front board and glue marks next to the spine on the front inside. The jacket is in VERY GOOD condition with slight creasing on the top front edge and some shelf wear marks over all. The book comes with a new BRODART archival jacket cover. JMVINTAGE specializes in Books, Magazines and Treasures related to the Duke and Duchess of Windsor.......and other curious people. From the box-kite planes he learned to fly in 1913 to the Atlas missiles he helped design in the 1960's, Frank T. Courtney's amazing career spans most of aviation history. And in this book, he describes that career in his own words, with the enthusiasm and authority of a man who has flown every plane he could get his hands on for half a century. During World War I, he was a fighter pilot who came back from defeat at the hands of German ace Max Immelmann to become a leader of England's notorious "Suicide Club" squadron. After the war, he joined the race to bridge the Atlantic, and earned a position as pioneer of trans-oceanic commercial flight. World War II found him as an engineering test pilot, and he continued to play an important role in the design and testing of new craft, including the giant jets and manned rockets. But The Eighth Sea is more than just a first-person account of fifty-three years' advances in the art and science of flying. It is a fascinating, carefully, detailed and often nostalgic re-creation of the days when aviation was a world of colorful characters and legendary exploits, and every flight was a new challenge. H. Very Good. Item # 001396 $12.50 "
Editor's Note: This item is available from JMVintage as of April 4, 2004. From time to time, in the body of scholarly writing, there emerges a work of commanding importance. Somtimes this paper wil do more than satisfy a committee; sometimes it will go beyond a noble contribution to the sum of our knowledge and will also entertain the reader. Occasionally it will be couched in plain, easy-to-understand journalism, designed to captivate a person with a sense of being there. City of Flight is all of this. James J. Horgan transports his reader into history; into the basket of the Atlantic, as the 19th century balloon crashes into the timber of upstate New York, a thousand miles after its takeoff from St. louis. Into the Red Devil, as Thomas Scott Baldwin flies his flimsy biplane between the Mississippi River and the arches of Eads Bridge. Onto the struts of the Sky Cycle, as a 15-year-old boy pedals his little gas-filled dirigible over Forest Park. Onto Art Hill, to cheer the fly over of America's newest hero, Charles A. Lindbergh, in his Spirit of St. Louis, in salute to the city which made it all possible. This is an epic set in the very cradle of aviaiton history - the City of St. Louis - now, as it was in the beginning, the City of Flight. American Heritage Center Courtney, Frank T.
Frank T. Courtney (1894-1982) was born in London and served with the Royal Flying Corps (the forerunner of the Royal Air Force) in France during World War I, attaining the rank of captain. 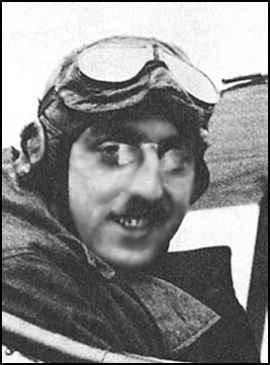 He was a test pilot and racer in England from 1919 to 1928. He also tried to fly the Atlantic from east to 13 west in 1919, 1926 and 1928, but was unsuccessful each time. Courtney came to the U.S. in 1928 as a technical assistant to the Curtiss-Wright Corporation. From 1936 to 1940 Courtney tested hydroplanes in England, returned to the U.S. in 1940 to fly test planes for Convair and later served as an advisor to Boeing. 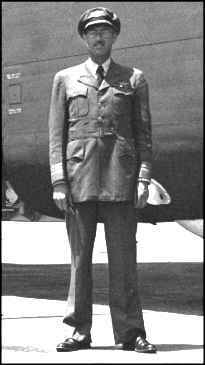 Courtney was married to Constance May "Ginger" Filby (1901-1968), who was also an aviator. Collection contains 16 items of correspondence (1928-1961); articles by or about Courtney (1955-1962); diaries (1923-1942); pilot's logs (1930-1938); photograph albums (1916-1941); manuscript for Courtney's history of aviation, The Eighth Sea; 6 reel-to-reel audio tapes of an interview with Courtney on the evolution of the fighter plane (1968); blueprints of the Armstrong Whitworth Siskin II fighter and the Courtney-Curtiss-Wright amphibian airplane; and miscellaneous memorabilia. Editor's Note: This extensive pdf file can be accessed from the Google link. Biographical files for Early Birds (1903-1916), as well as Errold G. Bahl, H. Clyde Balsley, Frank T. Courtney, Glenn Curtiss, Lee F. Duncan, Warren S. Eaton, E. H. Gibbon, Lewis E. Goodier, Lou E. Gordon, George E. A. Hallett, Charles A. Lindbergh, Paul Mantz, Knefler McGinnis, John J. Montgomery, Hugh M. Rockwell, G. E. Ruckstell, Waldo D. Waterman, 15 drawers. Library and Archives If time permits, you should visit the homepage of the Museum and become acquainted with its many offerings. You can access it by clicking on the title above. (RMS Majestic) Autograph Book Peter Leach has scanned the contents of this book which the Captain kept which includes the signature of Frank Courtney among the dozens of autographs of other notable passengers on the ship. On the same page you will find the signature of Amelia Mary Earhart. You can access the page by clicking on the title above. You may want to use the "FIND" function on Courtney to locate it on the page. If time permits, I suggest that you visit Peter's homepage and enjoy some of the many other items of interest.